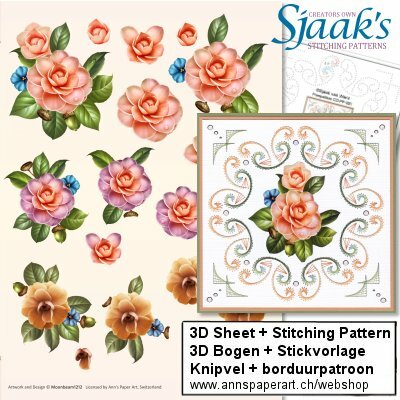 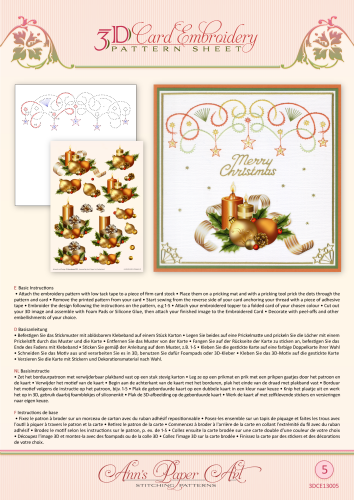 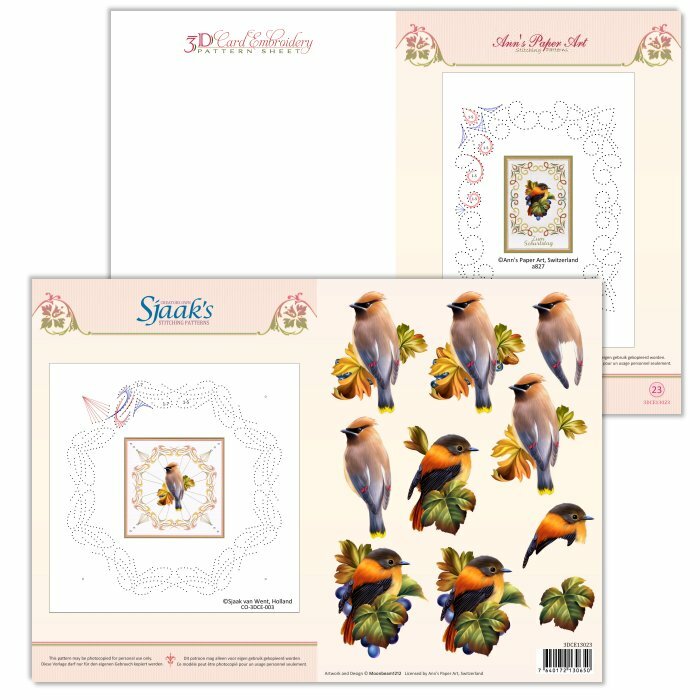 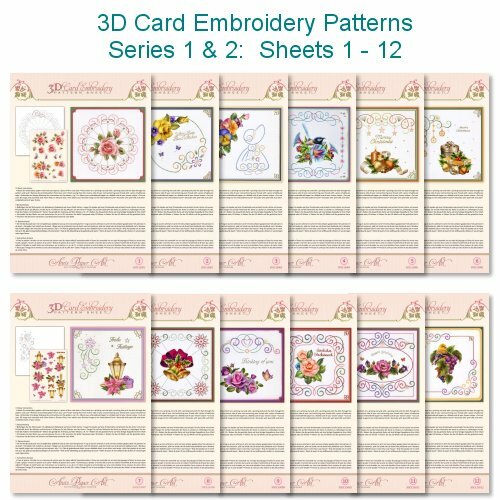 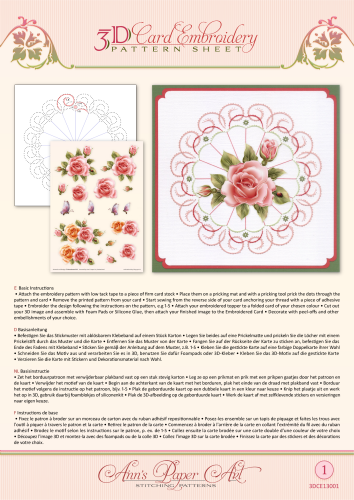 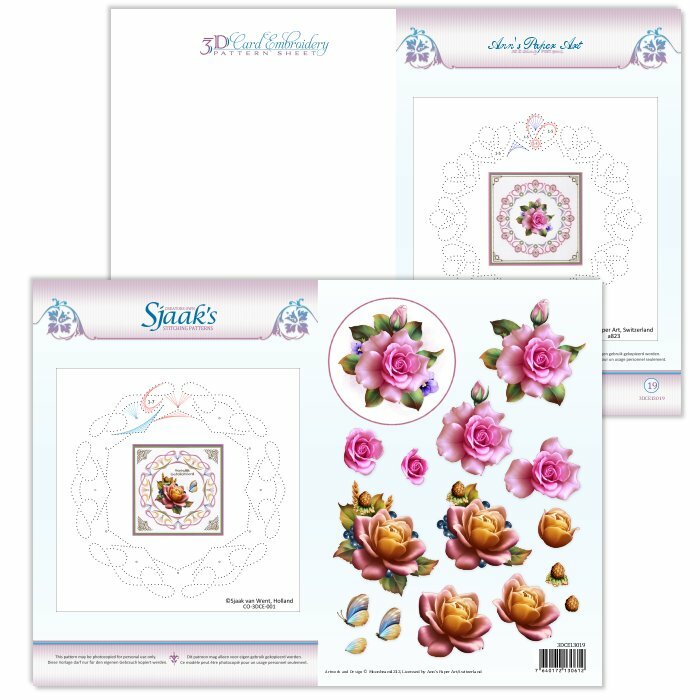 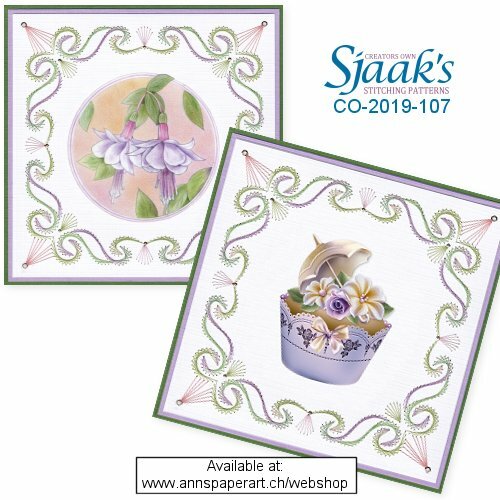 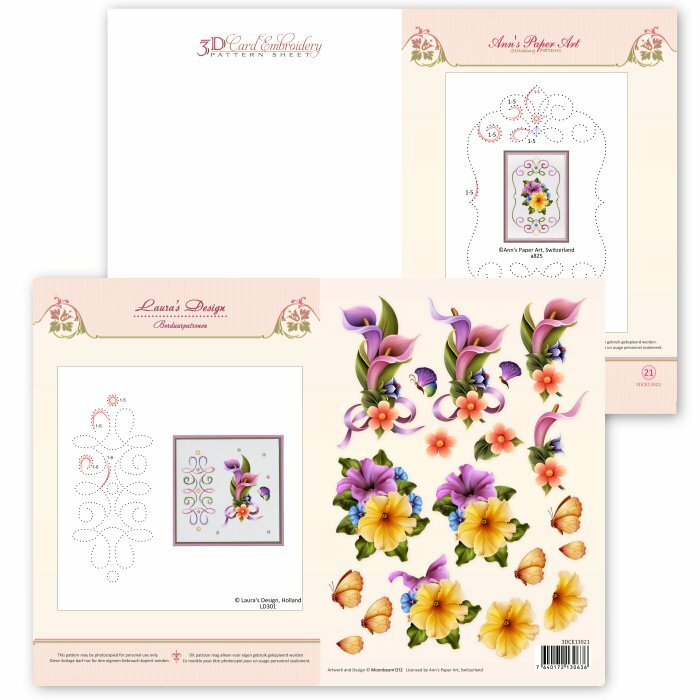 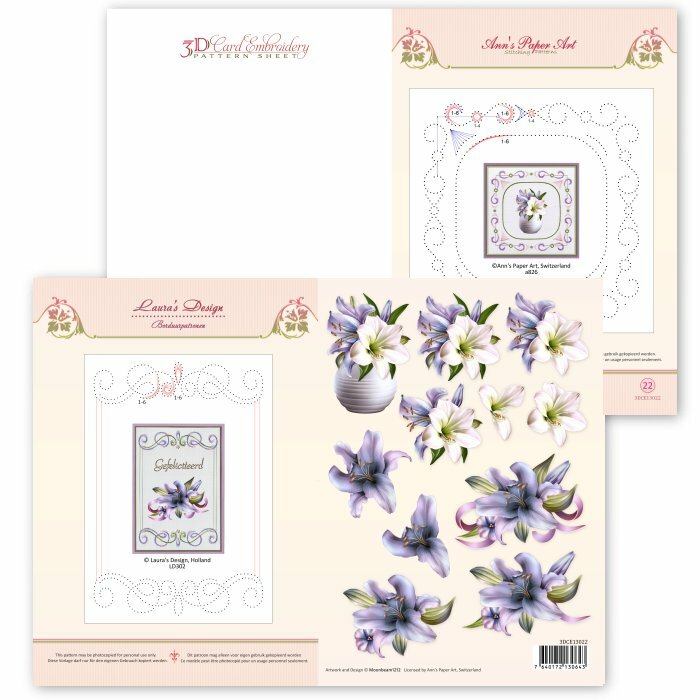 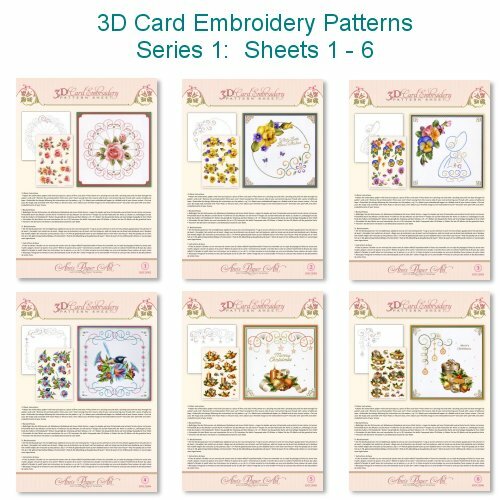 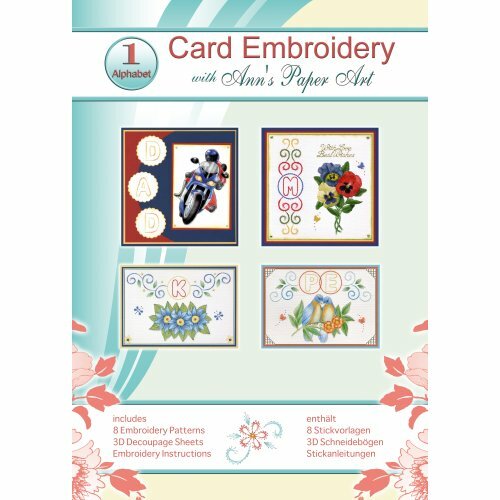 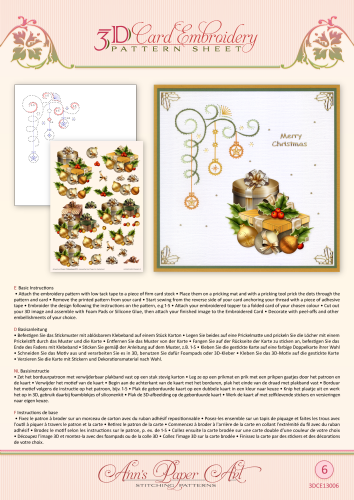 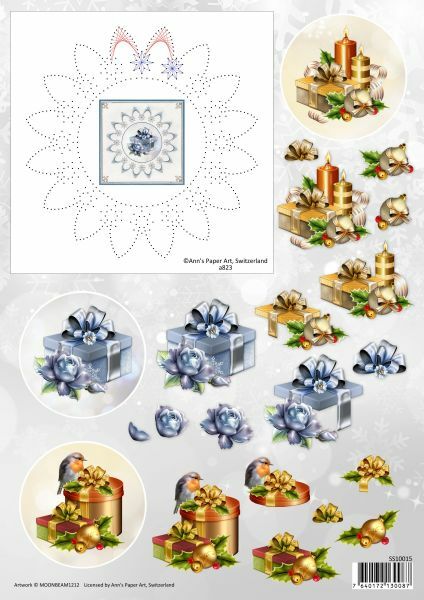 The 3D Card Embroidery Pattern Sheets are double-sided and include 1 Ann’s Paper Art pattern showing an embroidered card sample and two beautiful 3D images by Moonbeam1212. 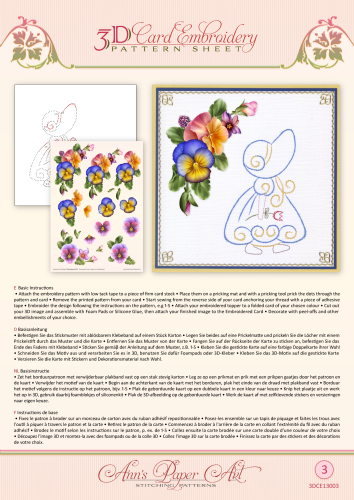 The basic embroidery instructions are in English, German, French and Dutch. 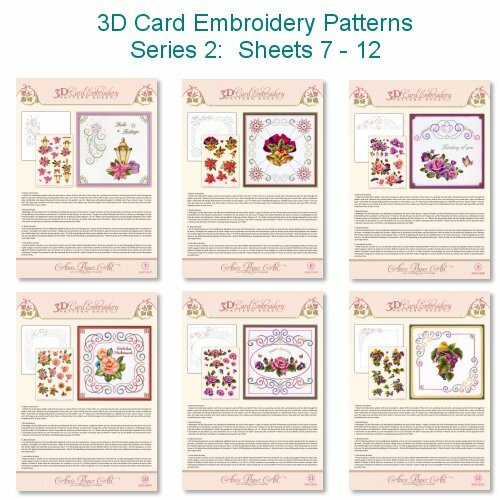 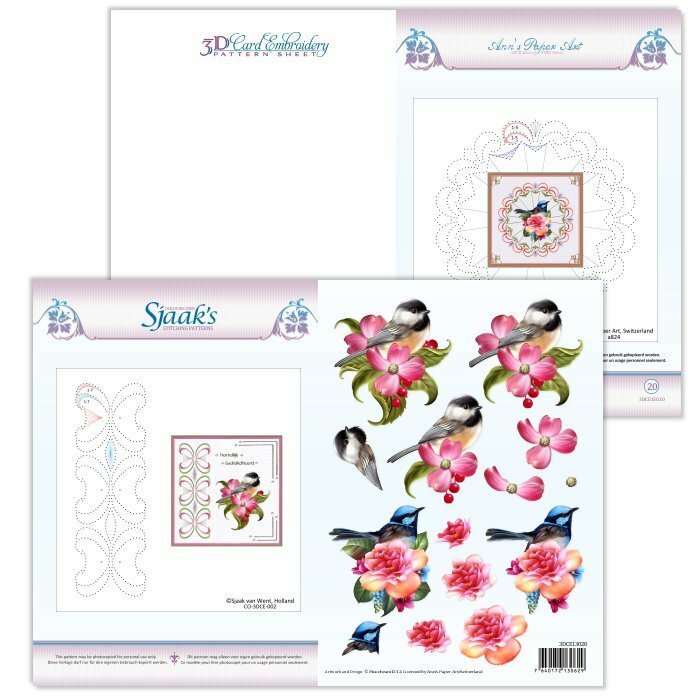 Each Pattern Sheet is numbered making them a wonderful collectable item. 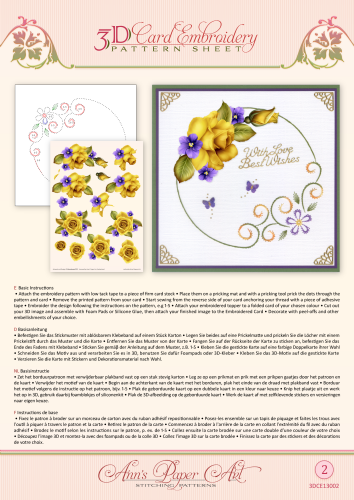 Create your own beautiful greeting cards for all occasions by combining them with all of your favourite techniques and materials. 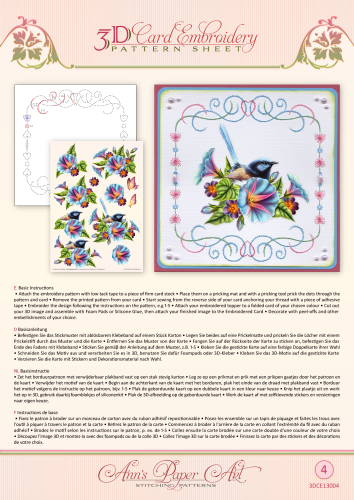 The design opportunities with these patterns and images are endless.